Melksham Choral Society was formed by a Miss Truswell just prior to WW2, although it is believed the Society has been in existence longer than this! In the late ’40s conductor Michael Vickers, who later had a distinguished career at the BBC and was subsequently honoured with a knighthood, led the choir. The repertoire at this time largely consisted of madrigals and part songs. In 1953 the Choral Society welcomed Jean Horsfall as its conductor. Under her enthusiastic tutelage the choirs greatly extended repertoire included “Carmen”, “The Magic Flute”, “St. John’s Passion”, Faure’s “Requiem”, Brahms’ “Requiem”. For the first time the choir had a conductor capable of controlling an accompanying orchestra, this further enhanced concert goers listening experience. At this time the choir regularly attended the Devizes Music Festival, often coming away with first prize! In the early 1970’s Jean Horsfall took a sabbatical, before returning to lead us once more in 1976. During those intervening years David Morris, the then Wiltshire’s County Music adviser, led the choir. In 1988 Jean Horsfall handed over the baton to Dr. Mark Kingston. Under the leadership of Mark Kingston the choir’s ability was further extended by the inclusion of works by Carl Orff, Poulenc, Vivaldi, and Rutter. The 50th Anniversary of the reformation of the Choral Society after the war was celebrated by a performance of Elgar’s “The Music Makers”. 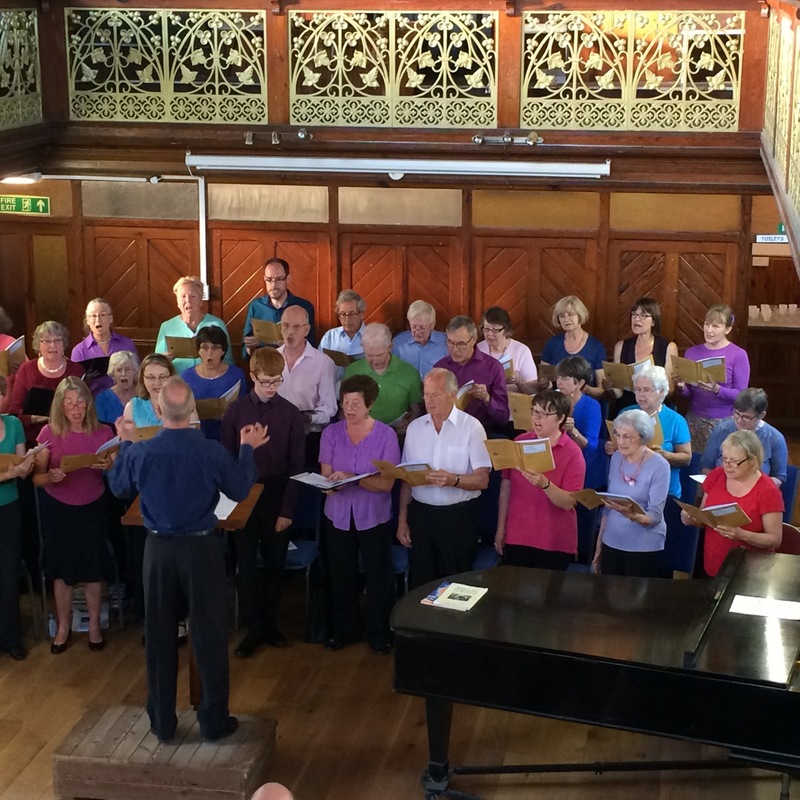 The choir also became “twinned” with a French choir in Avon, making two trips to the continent to sing in concerts. The French made reciprocal visits to Melksham. We have also played a large part in the social life of the town in the past, singing for members of the Gateway Club, and the Twinning Association. 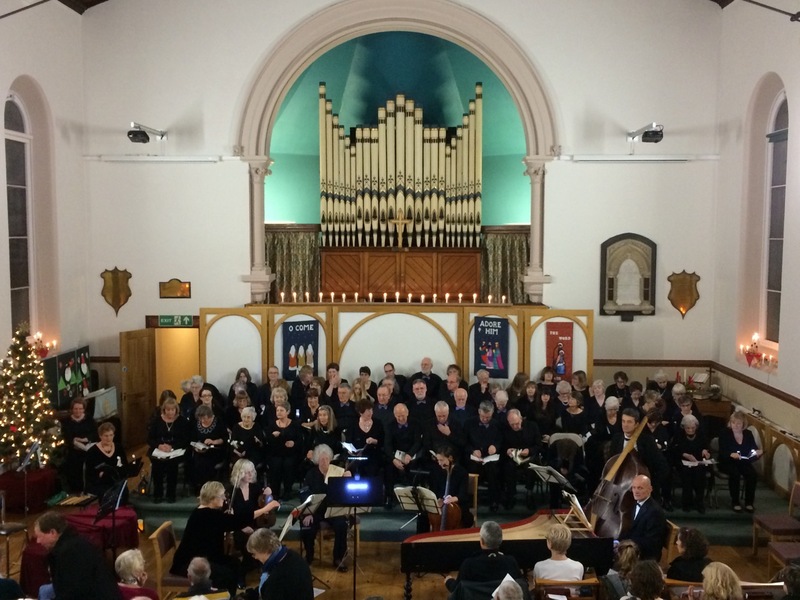 Mark left the Choral Society in 1997, and Audrey Anderson, former conductor of Westbury Choral Society stepped into the breech for a term, while we sought out a new leader. In 1998 Alan Jones joined the Society. Under his enthusiastic leadership we have sung works by Mozart, including “Requiem”, Handel’s “Samson” among many other Choral works. In September 2003 Gareth Harris was welcomed as our new conductor. Sadly pressure of work meant that Gareth was unable to commit himself fully to the programme of Choral events and he reluctantly left the Society. We were very fortunate to be able to welcome Jenny Brand, composer and music teacher as our conductor for the September 2005 season. Jenny decided to further her musical education further by studying in London. September 2006 saw the Society under the leadership of Clifton College pianist and tutor Tom Worley. His interest in baroque music provided a fresh flavour to our concerts. In May 2014, Paul Badley donned the mantle of choir leader. As a professional tenor himself, Paul has helped us to improve the quality of our singing, and has encouraged us to take on projects such as the very successful Candlelit Messiah in December 2015. I am a former colleague of Alan Jones, from Hampton School in Middlesex and I have just come across a letter he wrote to me back in 1998 just as he was joining your Society. He mentioned it in his letter. I note that he has been succeeded now. I am sure that someone must still remember Alan and I wonder if you would be good enough to forward my e mail address to him ? I moved on from Hampton School to Sevenoaks School in 1985 and am about to retire myself and it would be really nice to make contact again. I hope that he is still around – he must be well into his 80s now I imagine.